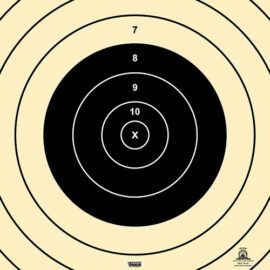 10 meter air rifle target. 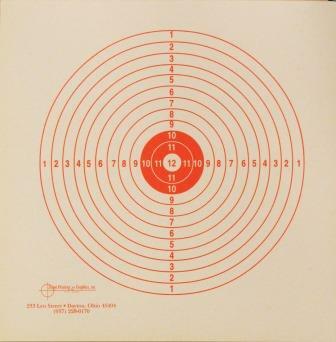 Each page has 12 bull’s eye. Printed on heavy paper stock. All the bull;s eyes are numbered. 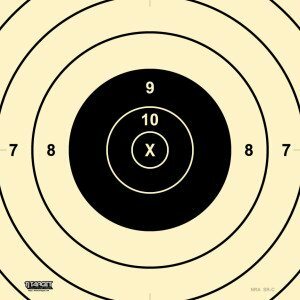 (25 sheets per package) Dimension of each target is 12″ x 10.5″. 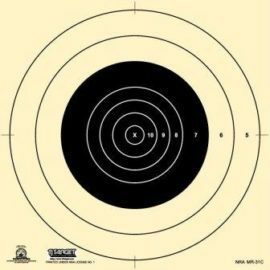 NRA AR-5/10 – 10 meter air rifle target – 12 bull’s eye per sheet. 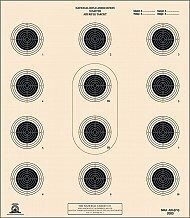 25 sheets in each pack of targets.